WPT's Tribal Histories project is part of American Indian Studies and Wisconsin Act 31 Initiative to provide educational resources for teaching and learning of Wisconsin’s American Indian nations and tribal communities. Mary Bigboy, Thomas O'Connor Sr., and Robert Powless Sr.
Kimberly Vele tells of Mohican life in the Hudson Valley of New York before their move to Stockbridge, Massachusetts, followed by their forced removal to Indiana where they joined with the Munsee tribe before their final relocation to Wisconsin. This ICWA educational resource video is the culmination of the ongoing collaboration between the Mississippi Courts, Child Welfare Agency, and the Mississippi Band of Choctow Indians. Indian Country Today Media Network is a multimedia publisher of news, information, and imagery relevant to the Indigenous people of the Americas. What is it like to be a judge for a sovereign nation within the borders of the state of Wisconsin? Join Amanda Rockman as she leads us through her day as a judge for the Ho Chunk Nation, hearing cases, performing weddings, and writing constitutional law. Historian and host, John Gurda, explores the history of Wisconsin's largest city, from its origins as a Native American settlement to the present day. This five-part series is based on Gurda's book of the same title. In this segment see how two brothers took it upon themselves to get arrested for exercising their right to hunt and fish on the ceded territories, just as their ancestors did, in an attempt to correct a long-standing injustice. Waasa Inaabidaa: "We look In All Directions" is a six part series with a companion book and classroom resources that is about the Anishinaabe/Ojibwe. As the Ojibwe reclaimed their rights to hunt, fish, and gather on the ceded territories, they needed a system of laws, checks, and balances in order to both protect their resources and enforce the law. As explained by Native American students and staff at Lombardi Middle School in Green Bay, WI. This video was created by Stephanie Stevens, Advocate - Oneida Youth Enrichment Services Program. The story of the American Indian Nations who inhabited "Dejope" or Four Lakes at the shores of Lake Mendota where the University of Wisconsin Madison was built in 1848, becoming a land grant institution by 1860. The epic story of the Ho-Chunk Nation resisting removal, assimilation and marginalization; the past and present challenges for American Indian Studies and Native American students for academic success within a white historically predominant university; the needs for increasing access to more Native American students to higher education, and the respect of their cultural distinctiveness in a new time of shared future for both Indian and non Indian communities. In this episode, Mr. Brian Jackson, a member of the Lac du Flambeau band of Lake Superior Ojibwe, speaks openly about issues that affect American Indian communities and the education of American Indian students. He discusses ways school systems can center equity in educational practices with American Indian students, including some examples of experiential learning rooted in Native history and addressing mascot logos in public schools. American Indian Culture and Resource Journal publishes book reviews, literature, and original scholarly papers on a wide range of issues in the fields of history, anthropology, geography, sociology, political science, health, literature, law, education, and the arts. The goal of this Bulletin is to help educators make connections and provide contexts to deepen an awareness of the complexity and diversity of this population of ELL students. American Indian Quarterly (AIQ) has earned its reputation as one of the dominant journals in American Indian studies by presenting the best and most thought-provoking scholarship in the field. AIQ is a forum for diverse voices and perspectives spanning a variety of academic disciplines. The common thread is AIQ’s commitment to publishing work that contributes to the development of American Indian studies as a field and to the sovereignty and continuance of American Indian nations and cultures. In addition to peer-reviewed articles, AIQ features reviews of books, films, and exhibits. Indigenous Policy Journal (IPJ) publishes articles, commentary, reviews, news, and announcements concerning Native American and international Indigenous affairs, issues, events, nations, groups and media. Journal of American Indian Education (JAIE) is a journal featuring original scholarship on education issues of American Indians, Alaska Natives, Native Hawaiians, and Indigenous peoples worldwide, including First Nations, Māori, Aboriginal/Torres Strait Islander peoples, and Indigenous peoples of Latin America, Africa, and others. Native American and Indigenous Studies Association (NAIS) is published twice a year by the University of Minnesota Press, and has as its mandate a focus on publishing the best interdisciplinary scholarship in international Native American and Indigenous Studies. It draws on the extraordinary professional expertise of our ever-expanding membership, and provides an intellectually rigorous and ethically engaged forum for smart, provocative, and exciting scholarship in the field. It provides a forum for different kinds of research, intellectual traditions, and knowledge practices to be placed in conversation, where we extend our understandings across disciplinary and epistemological boundaries and learn more about the important work going on in scores of different fields and regions. Studies in American Indian Literatures (SAIL) is the only journal in the United States that focuses exclusively on American Indian literatures. With a wide scope of scholars and creative contributors, this journal is on the cutting edge of activity in the field. Wicazo Sa Review is a journal in support of this particular type of scholarship, providing inquiries into the Indian past and its relationship to the vital present. It aims to be an interdisciplinary instrument to assist indigenous peoples of the Americas in taking possession of their own intellectual and creative pursuits. Published five times a year by AISES (four print issues and one digital-only issue), Winds of Change is the premier nationally distributed magazine with a single-minded focus on career and educational advancement for American Indians/Alaska Natives/Native Hawaiians/First Nations, with an emphasis on STEM. Note: Brothertown Indian Nation is included, but is not a federal or state recognized American Indian nation. Learn about Native American populations in the Midwest. Includes photographs, audio and visual media. American Indian Studies in Wisconsin (often referred as Wisconsin Act 31) refers to the requirement that all public school districts and pre-service education program provide instruction on the history, culture, and tribal sovereignty of Wisconsin’s eleven federally-recognized American Indian nations and tribal communities. This guide attempts to help teachers of American Indian students in grades 8-8 provide a culturally relevant education that takes place in the regular classroom, includes content related to Indian students' lives, makes students proud, expands to other experiences, and enhances learning. Creating sacred places means responding appropriately to students' academic, social, emotional, physical, and spiritual needs. This document is an attempt to help teachers provide the culturally relevant curriculum that has long been the dream of Indian educators. The relevant curriculum that has been envisioned takes place in the regular classroom, includes content related to the lives of Indian children, makes them proud, expands to other experiences, and enhances learning. The document provides teachers with background, materials (Indian literature), and activities for 24 unites: eight are science-based thematic units, eight are social studies/history-based, and eight are language arts thematic units, all for students in grades 9-12. 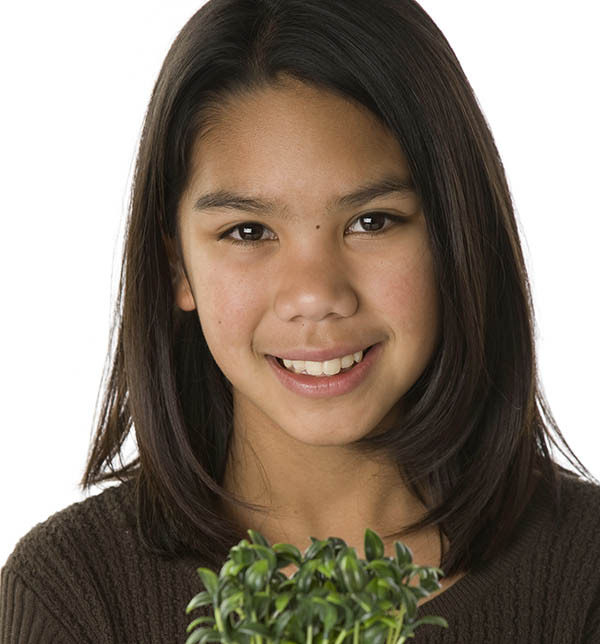 This guide presents ingredients for developing a culturally relevant curriculum for American Indian students in the primary grades. A survey of Indian literature for young children yielded eight topic areas included here. 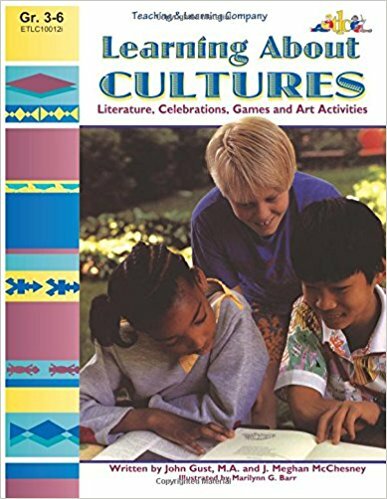 The suggested approach to curriculum development is the integration of reading, language arts, match, and science based upon the Indian literature and other resources. Materials and activities are aligned with challenging content standards. Also included are ideas for art activities and promotion of tribal values. This curriculum guide is but one of the resources that the Montana Office of Public Instruction is providing to help teachers implement Indian Education for All. The philosophy of this document promotes the use of Indian literature as an instructional tool. 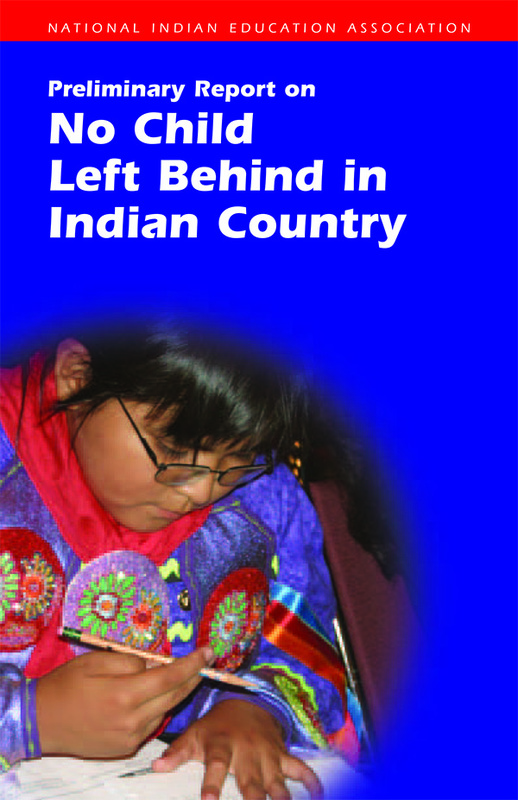 There are no textbooks presently for including aspects of Montana Indian cultures into the K-12 school curricula, but there is a body of Indian literature written and/or reviewed by Indian people that can supplement regular textbooks and help to teach state standards as well as provide knowledge about Indian people and their views in regard to academic content. This guide is patterned after the Creating Sacred Places curriculum series of the National Indian School Board Association. This manual was developed for a broad range of educators, both Indian and non-Indian, engaged in the process of teaching others about American Indian concepts and issues across the curriculum. It is not intended to be used as a text for any specific area of American Indian or Native American Studies, except perhaps as supplementary or complementary material for a methods course for classroom educators. For the purposes of this manual, we will define the term classroom broadly. The classroom is anywhere learning can take place. We have purposefully left the definition general enough to be useful in many types of educational environments. When used in conjunction with the various resources we reference, this manual provides a starting point or restarting point for good American Indian inclusion. This website explores the lives and experiences of American Indian Code Talkers, the servicemen who used their traditional tribal languages to transmit secret messages for the United States military during World War I and World War II. The content focuses on the Code Talkers’ wartime experiences, as well as their pre- and post-war lives. Their highly honored military achievements are placed in a larger cultural and historical context to encourage deeper appreciation of and respect for the complex and difficult challenges they faced as American Indian people of the twentieth century. This Teachers' Tool is for teachers of American Indian students whose racial and cultural backgrounds are different from those of their students. As a tool, it can be used in two distinctive ways: for individual reflection, or shared as the focus of a study group. The second approach, self-reflection shared in a study group, both uses the individual approach and offers the benefits of a team learning experience within a group of people who have similar goals and challenges. When the study group dynamic is chosen it can be coordinated by the school principal, another school administrator, or a teacher leader. Both approaches are useful in assisting teachers in learning more about themselves, their practice, and their students. Administration for Native Americans (ANA): An Office of the Administration for Children and Families supports Native American communities by providing financial assistance and capacity building, gathering and sharing data, and advocating for improved policies within HHS and across the federal government. Alaska Native Knowledge Network (ANKN) is designed to serve as a resource for compiling and exchanging information related to Alaska Native knowledge systems and ways of knowing. It has been established to assist Native people, government agencies, educators and the general public in gaining access to the knowledge base that Alaska Natives have acquired through cumulative experience over millennia. American Indian Chamber of Commerce of Wisconsin (AICCW) exists to promote economic development in Wisconsin Indian Country through directed service delivery to American Indian entrepreneurs. Since its inception in 1991, AICCW has remained committed to providing statewide advocacy, networking, one-to-one business management counseling and access to financial products and services to Wisconsin-based American Indian business people. American Indian Higher Education Consortium (AIHEC) is the collective spirit and unifying voice of our nation's 38 Tribal Colleges and Universities (TCUs)—a unique community of tribally and federally chartered institutions working to strengthen tribal nations and make a lasting difference in the lives of American Indians and Alaska Natives. American Indian Library Association (AILA) was founded in 1979 in conjunction with the White House Pre-Conference on Indian Library and Information Services on or near Reservations. At the time, there was increasing awareness that library services for Native Americans were inadequate. Individuals as well as the government began to organize to remedy the situation. American Indian Science and Engineering Society (AISES) is a national, nonprofit organization focused on substantially increasing the representation of American Indians, Alaska Natives, Native Hawaiians, Pacific Islanders, First Nations and other indigenous peoples of North America in science, technology, engineering and math (STEM) studies and careers. Association of Community Tribal School (ACTS) assists Community Tribal Schools towards their mission of ensuring that when students complete their schools they are prepared for lifelong learning and that these students will strengthen and perpetuate traditional tribal societies. provides natural resource management expertise, conservation enforcement, legal and policy analysis, and public information services in support of the exercise of treaty rightsduring well-regulated, off-reservation seasons throughout the treaty ceded territories. 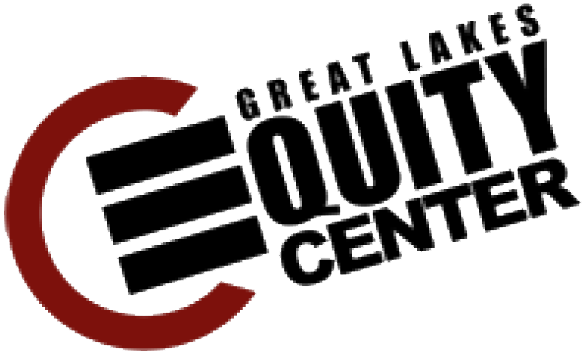 Great Lakes Inter-Tribal Council, Inc. (GLITC) had its beginnings in the early 1960’s as the consequences of the federal experiment of Termination began to play out with the Menominee tribe. Beginning as an association of the leaders of the other ten tribes located in Wisconsin, GLITC was incorporated in 1965 with the purpose of providing a mechanism through which the tribes could work through the challenges of governance and services to their constituents. Through intertribal unity, the tribes could better develop and implement programs, seek outside assistance, and gain leverage in dealing with federal, state, and local government. Indigenous Language Institute provides vital language related services to Native communities so that their individual identities, traditional wisdom and values are passed on to future generations in their original languages. National Advisory Council on Indian Education is authorized by §6141 of the Elementary and Secondary Education Act of 1965 (ESEA) as amended by the Every Student Succeeds Act (ESSA), 20 U.S.C. §7471. The Council is governed by the provisions of the Federal Advisory Committee Act (FACA), 5 U.S.C. App. 2, which sets forth requirements for the formation and use of advisory committees. National American Indian/Alaska Native (AIAN) Council of School Board Members serves in an advisory capacity to the NSBA in matters affecting NSBA’s policy and program issues and serves to foster an organizational culture based on sound education, research-based, and curriculum, assessment and evaluation principles. 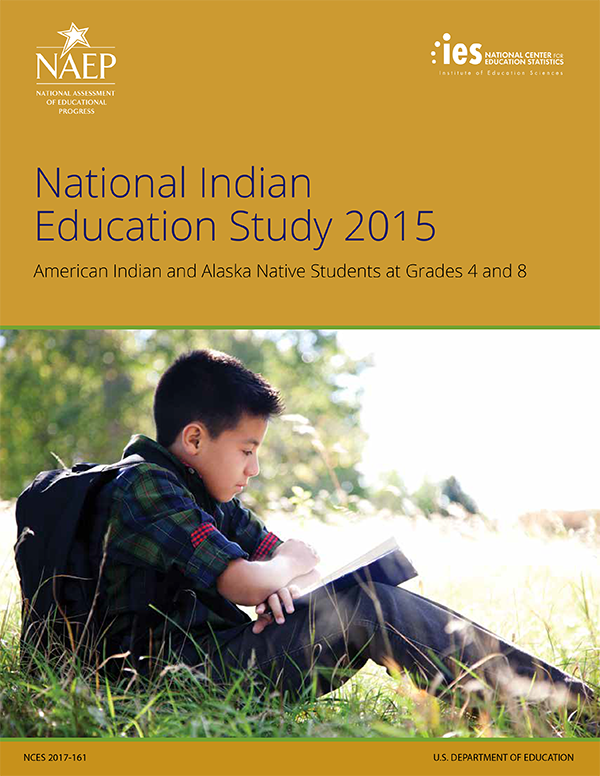 The purpose of AIAN is to promote quality education for all students with emphasis on the problems and successes of the American Indian/Alaska Native student. National Congress of American Indians is the oldest, largest and most representative American Indian and Alaska Native organization serving the broad interests of tribal governments and communities. National Indian Child Welfare Association (NICWA) works to support the safety, health, and spiritual strength of American Indian and Alaska Native children along the broad continuum of their lives. We support tribes in building the capacity to prevent child abuse and neglect through positive systems change at the state, federal, and tribal levels. We are the most comprehensive source of information on American Indian and Alaska Native child welfare. NICWA is a private, nonprofit, membership organization based in Portland, Oregon. Our members include tribes, individuals—both Native and non-Native—and private organizations from around the United States concerned with Native child and family issues. Together, our partners, board, and staff work to protect Native children and keep them connected to their family, community, and culture. National Indian Education Association (NIEA) was formed by Native educators in 1969 to encourage a national discourse on Native education. For 47 years, NIEA has hosted an annual convention to provide a forum for collaboration. National Indian Head Start Directors Association provides advocacy, leadership development, and professional growth opportunities. 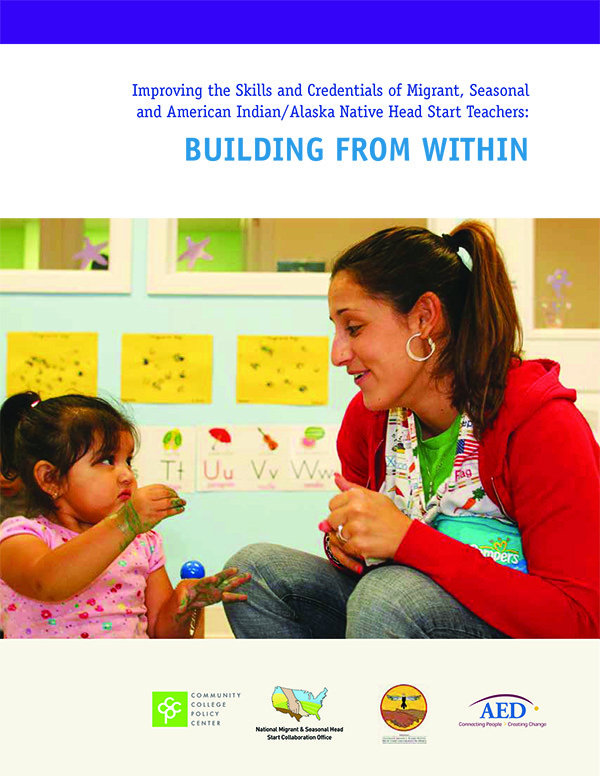 NIHSDA is the nation’s leading voice for American Indian and Alaska Native children in Head Start programs. National Indian Impacted Schools Association was designed to assist local school districts that have lost property tax revenue due to the presence of tax-exempt federal property, or that have experienced increased expenditures due to the enrollment of federally conducted children, including children living on Indian lands. National Indian Youth Leadership Project occupies a partially renovated warehouse building in Gallup, New Mexico. The parking lot is packed with well-used vans and 4x4 vehicles. The building is filled with outdoor programming gear that includes canoes, kayaks, mountain bikes, cross country skis, snowshoes, backpacks, sleeping bags and a few computers in a modest office setting. As a nonprofit, NIYLP is 33 years old. The current staff of 10 is predominantly Native American, from a variety of tribal backgrounds. The Internationally-recognized program grew from a summer leadership camp, first conducted at Cherokee Nation in Oklahoma in 1982, into the first Native American program to be designated as a MODEL Program in the prevention field. National Johnson-O'Malley Association, Inc. was formed as a nonprofit, educational organization for the following purposes: (a) To create an effective forum for discussion of educational and related matters of mutual concern among the members of the educational community. (b) To mutually develop standards of educational excellence for Indian students served by the educational programs within the United States. (c) To maintain appropriate lines of communication and collaborative efforts with other public, private, tribal and federal educators and educational programs. (d) To maintain formal liaisons with Tribal, State and Federal governmental agencies and other educational organizations, including but not limited to National Congress of American Indians, National Indian Education Association and other alliance organizations. (e) To advocate for Johnson-O'Malley Programs and the rights of Indian children from 3 years old through twelfth grade. National Museum of the American Indian (NMAI) is a diverse and multifaceted cultural and educational enterpris and an active and visible component of the Smithsonian Institution, the world's largest museum complex. The NMAI cares for one of the world's most expansive collections of Native artifacts, including objects, photographs, archives and media covering the entire Western Hemisphere, from the Arctic Circle to Tierra del Fuego. Native American Rights Fund (NARF), since 1971, has provided legal assistance to Indian tribes, organizations, and individuals nationwide who might otherwise have gone without adequate representation. 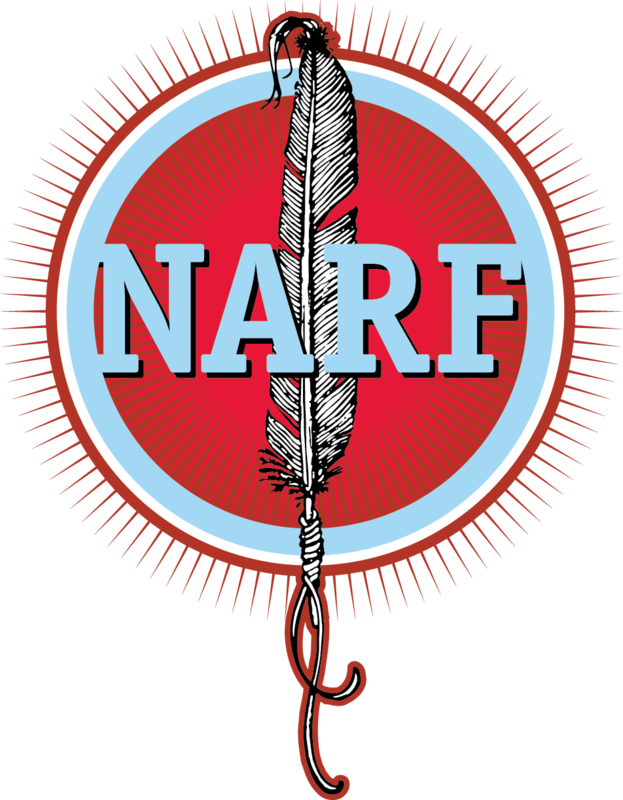 NARF has successfully asserted and defended the most important rights of Indians and tribes in hundreds of major cases, and has achieved significant results in such critical areas as tribal sovereignty, treaty rights, natural resource protection, and Indian education. NARF is a non-profit 501c(3) organization that focuses on applying existing laws and treaties to guarantee that national and state governments live up to their legal obligations. Native American Tourism of Wisconsin (NATOW) is an inter-tribal consortium that was launched as a state wide initiative in 1994 by GLITC (Great Lakes Inter-Tribal Council). The mission of NATOW is to promote tourism featuring Native American heritage and culture. Tourism provides an excellent tactic for Tribes to diversify their economies, while telling the true story concerning their history and culture. Tourism is also one of the ways that Tribes can be self-sufficient and boost their economies. NATOW is comprised of representatives from each Tribe, who converge bi-monthly to discuss its strategic tourism plan. Office of Indian Education (OIE), U.S. Department of Education supports the efforts of local educational agencies, Indian tribes and organizations, post-secondary institutions, and other entities to meet the unique cultural, language, and educational needs of such students; and ensure that all students meet the challenging State academic standards. Tribal Education Departments National Assembly, Co. (TEDNA), is a national non-profit organization. Its certificate of incorporation was filed in Delaware on October 27, 2003. Since then TEDNA has historically operated out of Boulder, CO. and now is relocating to Oklahoma City, OK. TEDNA is a membership organization for the Education Departments of American Indian and Alaska Native Tribes (“TEDs”). The founding of TEDNA has been supported by the Native American Rights Fund and the U.S. Department of Education’s Office of Indian Education. United National Indian Tribal Youth (UNITY) Inc. is a national network organization promoting personal development, citizenship, and leadership among Native American youth. UNITY has an impressive track record of empowering and serving American Indian and Alaska Native youth. UNITY is well regarded among the nation’s Native American organizations, tribal leaders, and government officials. United South and Eastern Tribes (USET), Inc. is dedicated to promoting Indian leadership, improving the quality of life for American Indians, and protecting Indian rights and resources on Tribal lands. Although its guiding principal is unity, USET plays a major role in the self-determination of all member Tribal Nations by working to improve the capabilities of Tribal governments. Established in 1969, United South and Eastern Tribes Inc., is a non-profit, intertribal organization that collectively represents its member Tribal Nations at the regional and national level. This Initiative leads the President’s Executive Order 13592, signed December 2, 2011, Improving American Indian and Alaska Native Educational Opportunities and Strengthening Tribal Colleges and Universities. The Initiative, located within the Department of Education, seeks to support activities that will strengthen the Nation by expanding education opportunities and improving education outcomes for all American Indian and Alaska Native (AI/AN) students. It is committed to furthering tribal self-determination and ensuring AI/AN students, at all levels of education, have an opportunity to learn their Native languages and histories, receive complete and competitive educations, preparing them for college, careers, and productive and satisfying lives. Wisconsin Department of Public Instruction - American Indian Studies Program exists primarily to assist with the implementation of the curricular requirements in the areas of American Indian history, culture, and tribal sovereignty. The program is also responsible for American Indian Language and Culture Education. Wisconsin Indian Education Association (WIEA) was established in 1985 by a group of concerned Indian Educators to carry on the efforts of the former Great Lakes Intertribal Council (GLITC) Education sub-committee. The GLITC Education Committee began in the early 1970’s but was disbanded around 1983 because of a lack of funds. A group of concerned Indian Educators began meeting in 1984 and after a series of meetings during that year, developed By-laws and a mission statement. The group was formally organized in 1985 as the Wisconsin Indian Education Association. 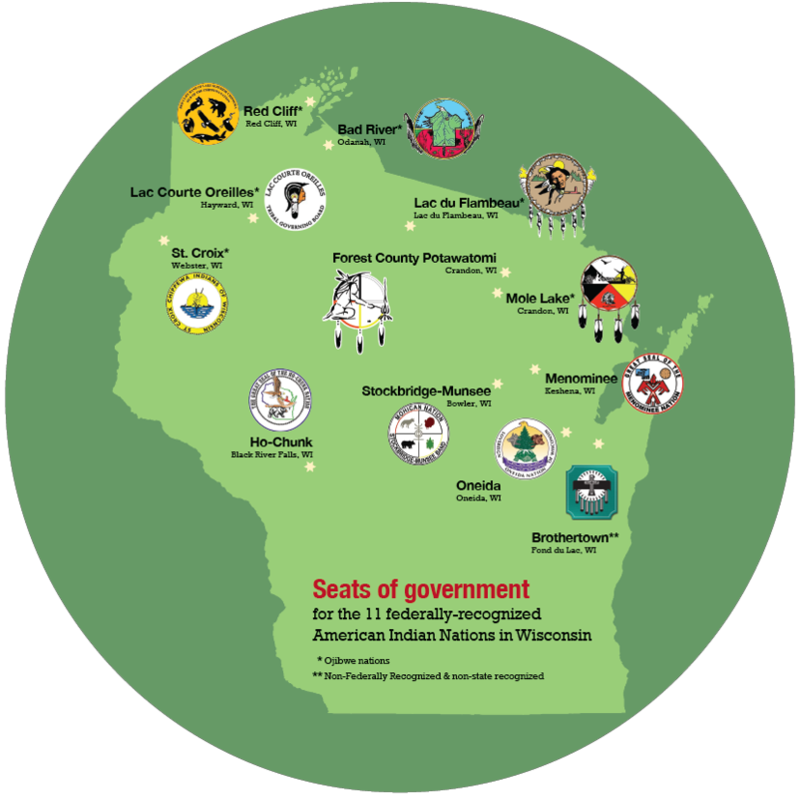 Wisconsin State Tribal Relations Initiative - In 2004, Executive Order #39 was issued, recognizing the government-to-government relationship between the state and tribal governments and requiring strengthening of the working relationship between the two governments. As a result, the State-Tribal Consultation Initiative was created. The goal of this Initiative is greatly improved communications allowing for any potential issues to be corrected early on or avoided entirely on both sides. Through the Initiative, valuable state and tribal resources are put to more effective use delivering government services in a more streamlined, coordinated and economically efficient manner. Bestselling author Sherman Alexie tells the story of Junior, a budding cartoonist growing up on the Spokane Indian Reservation. Determined to take his future into his own hands, Junior leaves his troubled school on the rez to attend an all-white farm town high school where the only other Indian is the school mascot. Heartbreaking, funny, and beautifully written, The Absolutely True Diary of a Part-Time Indian, which is based on the author's own experiences, coupled with poignant drawings by Ellen Forney that reflect the character's art, chronicles the contemporary adolescence of one Native American boy as he attempts to break away from the life he was destined to live. On June 27, 1868, Hole in the Day (Bagonegiizhig) the Younger left Crow Wing, Minnesota, for Washington, DC, to fight the planned removal of the Mississippi Ojibwe to a reservation at White Earth. Several miles from his home, the self-styled leader of all the Ojibwe was stopped by at least twelve Ojibwe men and fatally shot. Hole in the Day's death was national news, and rumors of its cause were many: personal jealousy, retribution for his claiming to be head chief of the Ojibwe, retaliation for the attacks he fomented in 1862, or retribution for his attempts to keep mixed-blood Ojibwe off the White Earth Reservation. Still later, investigators found evidence of a more disturbing plot involving some of his closest colleagues: the business elite at Crow Wing. While most historians concentrate on the Ojibwe relationship with whites to explain this story, Anton Treuer focuses on interactions with other tribes, the role of Ojibwe culture and tradition, and interviews with more than fifty elders to further explain the events leading up to the death of Hole in the Day. The Assassination of Hole in the Day is not only the biography of a powerful leader but an extraordinarily insightful analysis of a pivotal time in the history of the Ojibwe people. Aztalan has remained a mystery since the early nineteenth century when it was discovered by settlers who came to the Crawfish River, fifty miles west of Milwaukee. Who were the early indigenous people who inhabited this place? When did they live here? Why did they disappear? Birmingham and Goldstein attempt to unlock some of the mysteries, providing insights and information about the group of people who first settled here in 1100 AD. Filled with maps, drawings, and photographs of artifacts, this small volume examines a time before modern Native American people settled in this area. Before Indian casinos sprouted up around the country, a few enterprising tribes got their start in gambling by opening bingo parlors. A group of women on the Oneida Indian Reservation just outside Green Bay, Wisconsin, introduced bingo in 1976 simply to pay a few bills. Bingo not only paid the light bill at the struggling civic center but was soon financing vital health and housing services for tribal elderly and poor. While militant Indian activists often dominated national headlines in the 1970s, these church-going Oneida women were the unsung catalysts behind bingo’s rising prominence as a sovereignty issue in the Oneida Nation. The bingo moms were just trying to take care of the kids in the community. The Bingo Queens of Oneida: How Two Moms Started Tribal Gaming tells the story through the eyes of Sandra Ninham and Alma Webster, the Oneida women who had the idea for a bingo operation run by the tribe to benefit the entire tribe. Bingo became the tribe’s first moneymaker on a reservation where about half the population was living in poverty. Author Mike Hoeft traces the historical struggles of the Oneida—one of six nations of the Iroquois, or Haudenosaunee, confederacy—from their alliance with America during the Revolutionary War to their journey to Wisconsin. He also details the lives of inspirational tribal members who worked alongside Ninham and Webster, and also those who were positively affected by their efforts. The women-run bingo hall helped revitalize an indigenous culture on the brink of being lost. The Bingo Queens of Oneida is the story of not only how one game helped revive the Oneida economy but also how one game strengthened the Oneida community. The alternating stories and poems in this debut collection by Gyasi Ross tell the stories of contemporary Native Americans who do not represent a stereotype. They don t ride horses or get falling down drunk. They are not the stoic crying Indian from a commercial nor the flowing-haired warrior on the cover of a romance novel. The characters in these 18 stories and poems are regular Indians - people who have day jobs, college students, insecure folks, kids in love. These characters are unique, diverse, and just like the rest of America. The book is heartbreaking and life-affirming, controversial and heartwarming, funny and tragic. If you think you know about Indians or if you know that you don't, step into the lives of these characters and you will come away enlightened, discomfited, entertained and inspired. Electa Quinney loved to learn. Growing up in the early 1800s in New York, she went to some of the best boarding schools. There she learned how to read, write, and solve tough math problems—she even learned how to do needlework. Electa decided early on that she wanted to become a teacher so she could pass her knowledge on to others. But life wasn’t simple. Electa was a Stockbridge Indian, and her tribe was being pressured by the government and white settlers to move out of the state. So in 1828, Electa and others in her tribe moved to Wisconsin. Almost as soon as she arrived, Electa got to work again, teaching in a log building that also served as the local church. In that small school in the woods, Electa became Wisconsin’s very first public school teacher, educating the children of Stockbridge-Munsee Band of the Mohican Indians as well as the sons and daughters of nearby white settlers and missionaries. Electa’s life provides a detailed window onto pioneer Wisconsin and discusses the challenges and issues faced by American Indians in the nineteenth century. Through it all, Electa’s love of learning stands out, and her legacy as Wisconsin’s first public school teacher makes her an inspiration to students of today. In this sweeping work of memoir and commentary, leading cultural critic Paul Chaat Smith illustrates with dry wit and brutal honesty the contradictions of life in “the Indian business.” Raised in suburban Maryland and Oklahoma, Smith dove head first into the political radicalism of the 1970s, working with the American Indian Movement until it dissolved into dysfunction and infighting. Afterward he lived in New York, the city of choice for political exiles, and eventually arrived in Washington, D.C., at the newly minted National Museum of the American Indian (“a bad idea whose time has come”) as a curator. In his journey from fighting activist to federal employee, Smith tells us he has discovered at least two things: there is no one true representation of the American Indian experience, and even the best of intentions sometimes ends in catastrophe. Everything You Know about Indians Is Wrong is a highly entertaining and, at times, searing critique of the deeply disputed role of American Indians in the United States. What have you always wanted to know about Indians? Do you think you should already know the answers—or suspect that your questions may be offensive? In matter-of-fact responses to over 120 questions, both thoughtful and outrageous, modern and historical, Ojibwe scholar and cultural preservationist Anton Treuer gives a frank, funny, and sometimes personal tour of what's up with Indians, anyway. White/Indian relations are often characterized by guilt and anger. Everything You Wanted to Know about Indians but Were Afraid to Ask cuts through the emotion and builds a foundation for true understanding and positive action. In deceptively simple prose and verse, Louis V. "Two Shoes" Clark III shares his life story, from childhood on the Rez, through school and into the working world, and ultimately as an elder, grandfather, and published poet. How to Be an Indian in the 21st Century explores Clark’s deeply personal and profound take on a wide range of subjects, from schoolyard bullying to workplace racism to falling in love. Warm, plainspoken, and wryly funny, Clark’s is a unique voice talking frankly about a culture’s struggle to maintain its heritage. His poetic storytelling style matches the rhythm of the life he recounts, what he calls "the heartbeat of my nation." How to Say I Love You in Indian, with a foreword by renowned Native activist, environmentalist, economist and author Winona LaDuke, follows his universally well-received first book, Don't Know Much About Indians, now in its third printing. The stories and poems of How to Say I Love You in Indian are filled with humor, heartbreak and wisdom and convey Native love in many forms romantic, parental, love between friends, love of one's culture and community. Today in the United States, there are more than five hundred federally recognized Indigenous nations comprising nearly three million people, descendants of the fifteen million Native people who once inhabited this land. The centuries-long genocidal program of the US settler-colonial regimen has largely been omitted from history. Now, for the first time, acclaimed historian and activist Roxanne Dunbar-Ortiz offers a history of the United States told from the perspective of Indigenous peoples and reveals how Native Americans, for centuries, actively resisted expansion of the US empire. In An Indigenous Peoples’ History of the United States, Dunbar-Ortiz adroitly challenges the founding myth of the United States and shows how policy against the Indigenous peoples was colonialist and designed to seize the territories of the original inhabitants, displacing or eliminating them. Spanning more than four hundred years, this classic bottom-up peoples’ history radically reframes US history and explodes the silences that have haunted our national narrative. With the Great Sioux War as background and context, and drawing on many new materials, Thomas Powers establishes what really happened in the dramatic final months and days of Crazy Horse’s life. He was the greatest Indian warrior of the nineteenth century, whose victory over General Custer at the battle of Little Bighorn in 1876 was the worst defeat ever inflicted on the frontier army. But after surrendering to federal troops, Crazy Horse was killed in custody for reasons which have been fiercely debated for more than a century. The Killing of Crazy Horse pieces together the story behind this official killing. This updated and revised edition of the American Book Award-winner and national bestseller revitalizes the truth of America’s history, explores how myths continue to be perpetrated, and includes a new chapter on 9/11 and the Iraq War. Americans have lost touch with their history, and in Lies My Teacher Told Me Professor James Loewen shows why. After surveying eighteen leading high school American history texts, he has concluded that not one does a decent job of making history interesting or memorable. Marred by an embarrassing combination of blind patriotism, mindless optimism, sheer misinformation, and outright lies, these books omit almost all the ambiguity, passion, conflict, and drama from our past. In this revised edition, packed with updated material, Loewen explores how historical myths continue to be perpetuated in today's climate and adds an eye-opening chapter on the lies surrounding 9/11 and the Iraq War. From the truth about Columbus's historic voyages to an honest evaluation of our national leaders, Loewen revives our history, restoring the vitality and relevance it truly possesses. Thought provoking, nonpartisan, and often shocking, Loewen unveils the real America in this iconoclastic classic beloved by high school teachers, history buffs, and enlightened citizens across the country. With the seasons of the year as a backdrop, author Diane Holliday describes what life was like for a Ho-Chunk girl who lived in the late nineteenth and early twentieth century. Central to the story is the movement of Mountain Wolf Woman and her family in and around Wisconsin. Like many Ho-Chunk people in the mid-1800s, Mountain Wolf Woman's family was displaced to Nebraska by the U.S. government. They later returned to Wisconsin but continued to relocate throughout the state as the seasons changed to gather and hunt food. Based on her own autobiography as told to anthropologist Nancy Lurie, Mountain Wolf Woman's words are used throughout the book to capture her feelings and memories during childhood. Author Holliday draws young readers into this Badger Biographies series book by asking them to think about how the lives of their ancestors and how their lives today compare to the way Mountain Wolf Woman lived over a hundred years ago. 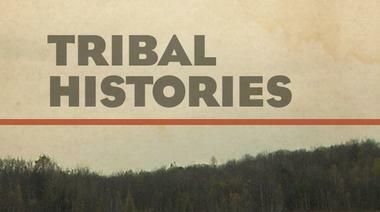 This collection of oral history interview is dedicated to the eleven Native Nations of Wisconsin. It includes Ho-Chunk, Menominee, Ojibwe, Oneida, Forest County Potawatomi, and Mohican Nation Stockbridge-Munsee Band. Interviews were taken and assembled by students from the D.C. Everest High School's Oral History Project. Destined to become an important Native American historic reference. The Oneidas of Wisconsin tell their own story in this richly diverse, authoritative contemporary history. A Nation within a Nation gathers first-person accounts, biographical essays, and scholars’ investigations in a sweeping and provocative consideration of the period of 1900-1969. In the wake of removal from their native New York, the Oneida people settled near what is now Green Bay, on 65,000 acres of commonly held land. But in 1887, the Dawes Act paved the way for a devastating break-up of the reservation, and within a lifetime the Oneidas saw their land holdings plummet to less than 200 acres. Throughout struggles with poverty, oppression, and government interference and assimilationism, Wisconsin Oneidas remained connected as a community and true to their Iroquois roots. They also refused to relinquish their dream of reclaiming their land, and in recent years have not only stopped the land-loss, but have begun to reverse it. Native People of Wisconsin tells the stories of the twelve Native Nations in Wisconsin, including the Native people's incredible resilience despite rapid change and the impact of European arrivals on Native culture. Young readers will become familiar with the unique cultural traditions, tribal history, and life today for each nation. Complete with maps, illustrations, and a detailed glossary of terms, this highly anticipated new edition includes two new chapters on the Brothertown Indian Nation and urban Indians, as well as updates on each tribe's current history and new profiles of outstanding young people from every nation. People of the Sturgeon tells the poignant story of an ancient fish. Wanton harvest and habitat loss took a heavy toll on these prehistoric creatures until they teetered on the brink of extinction. But, in Wisconsin, lake sturgeon have flourished because of the dedicated work of Department of Natural Resources staff, university researchers and a determined group of spearers known as Sturgeon For Tomorrow. Thanks to these efforts, spearers can still flock by the thousands to frozen Lake Winnebago each winter to take part in a ritual rooted in the traditions of the Menominee and other Wisconsin Indians. A century of sturgeon management on Lake Winnebago has produced the world's largest and healthiest lake sturgeon population. Through a fascinating collection of images, stories and interviews, People of the Sturgeon chronicles the history of this remarkable fish and the cultural traditions it has spawned. The authors introduce a colorful cast of characters with a good fish tale to tell. Color photos by the late Bob Rashid and images from the Wisconsin Historical Society evoke both the magical and the mortal. Weaving together myriad voices and examining the sturgeon's profound cultural impact, the authors reveal how a diverse group of people are now joined together as "people of the sturgeon." Wisconsin’s rich tradition of sustainability rightfully includes its First Americans, who along with Aldo Leopold, John Muir, and Gaylord Nelson shaped its landscape and informed its “earth ethics.” This collection of Native biographies, one from each of the twelve Indian nations of Wisconsin, introduces the reader to some of the most important figures in Native sustainability: from anti-mining activists like Walt Bresette (Red Cliff Ojibwe) and Hillary Waukau (Menominee) to treaty rights advocates like James Schlender (Lac Courte Oreille Ojibwe), artists like Truman Lowe (Ho-Chunk), and educators like Dorothy “Dot” Davids (Stockbridge-Munsee Community Band of Mohican Indians), along with tribal geneologists, land stewards, and preservers of language and culture. Each of the biographies speaks to traditional ecological values and cultural sensibilities, highlighting men and women who helped to sustain and nurture their nations in the past and present. This book is based on interviews with 120 Native youth from across North America. Written especially for today's Native middle and high school students, the authors share students' stories of life's challenges and their struggles to find and stay on the Good Path. They focus especially on how students developed strong Native identities; coped with troubles in their families, communities, and schools; reached their breaking points or responded resiliently to high-pressure situations; learned to appreciate their own intellectual gifts and abilities; and met the academic and social challenges they encountered in school. Interspersed throughout the book are short fictional "teaching stories" meant to illustrate common dilemmas faced by Native youth and how the characters responded. Rising above the countryside of Wood County, Wisconsin, Powers Bluff is a large outcrop of quartzite rock that resisted the glaciers that flattened the surrounding countryside. It is an appropriate symbol for the Native people who once lived on its slopes, quietly resisting social forces that would have crushed and eroded their culture. A large band of Potawatomi, many returnees from the Kansas Prairie Band Potawatomi reservation, established the village of Tah-qua-kik or Skunk Hill in 1905 on the 300-foot-high bluff, up against the oddly shaped rocks that topped the hill and protected the community from the cold winter winds. In Skunk Hill, archeologist Robert A. Birmingham traces the largely unknown story of this community, detailing the role it played in preserving Native culture through a harsh period of US Indian policy from the 1880s to 1930s. The story’s central focus is the Drum Dance, also known as the Dream Dance or Big Drum, a pan-tribal cultural revitalization movement that swept the Upper Midwest during the Great Suppression, emphasizing Native values and rejecting the vices of the white world. Though the community disbanded by the 1930s, the site, now on the National Register of Historic Places with two dance circles still visible on the grounds, stands as testimony to the efforts of its members to resist cultural assimilation. In this follow-up to his landmark bestseller, Lies My Teacher Told Me: Everything Your American History Textbook Got Wrong, James Loewen continues to break silences and change our perspectives on U.S. history. Loewen takes history textbooks to task for their perpetuations of myth and their lack of awareness of today's multicultural student audience (not to mention the astonishing number of facts they just got plain wrong). How did people get here? Why did Europe win? Why Did the South Secede? In Teaching What Really Happened, Loewen goes beyond the usual textbook-dominated viewpoints to illuminate a wealth of intriguing, often hidden facts about America's past. Calling for a new way to teach history, this book will help teachers move beyond traditional textbooks to tackle difficult but important topics like conflicts with Native Americans, slavery, and race relations. Throughout, Loewen shows time and again how teaching what really happened connects better with all kinds of students to get them excited about history. Based on recent archaeological interpretation, this standards-based resource enriches material covered in Native People of Wisconsin. Water Panthers, Bears, and Thunderbirds introduces young readers to effigy mound sites in five southern Wisconsin counties. Suggested activities encourage students to graph, compare, contrast, and analyze the ways these mound groups vary from county to county. A resource for all who teach and study history, this book illuminates the unmistakable centrality of American Indian history to the full sweep of American history. The nineteen essays gathered in this collaboratively produced volume, written by leading scholars in the field of Native American history, reflect the newest directions of the field and are organized to follow the chronological arc of the standard American history survey. Contributors reassess major events, themes, groups of historical actors, and approaches--social, cultural, military, and political--consistently demonstrating how Native American people, and questions of Native American sovereignty, have animated all the ways we consider the nation's past. The uniqueness of Indigenous history, as interwoven more fully in the American story, will challenge students to think in new ways about larger themes in U.S. history, such as settlement and colonization, economic and political power, citizenship and movements for equality, and the fundamental question of what it means to be an American. Literature of the Indian Nations of Wisconsin is a unique anthology that presents the oral traditions, legends, speeches, myths, histories, literature, and historically significant documents of the current twelve independent bands and Indian Nations of Wisconsin. Kathleen Tigerman sought input from tribe elders and educators to provide an accurate chronological portrait of each nation, including the Siouan Ho-Chunk; the Algonquian Menominee, Ojibwe, and Potawatomi; and three groups originally from what is now New York State: the Iroquoian Oneida, the Stockbridge-Munsee band of the Mohican Nations, and the Brothertown Nation. Some of these works feature a cultural hero or refer to very ancient times—more than six thousand years ago—and others are contemporary. These pieces focus on issues of Wisconsin Native communities by sharing Native knowledge and dialogue about sovereignty, decolonization, cultural genocide, forced removals, assimilation, and other concerns. This anthology introduces us to a vivid and unforgettable group of voices, enhanced by many maps, photographs, and chronologies. Literature of the Indian Nations of Wisconsin fosters cross-cultural understanding among non-Native readers and the people of the First Nations. This best-selling short history of Wisconsin's native peoples is now updated and expanded to include events through the end of the twentieth century. From the treaty-making era to the reawakening of tribal consciousness in the 1960s to the profound changes brought about by Indian gaming, Lurie’s classic account remains the best concise treatment of the subject.